Salamanca's chic Beni Room is the stylista go-to. Sophisticat Pez in Las Salesas stocks local and global names. 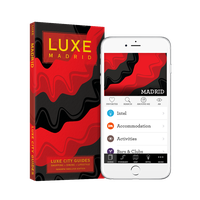 Paris, Milan and London might be Europe’s fashion capitals, but Madrid trails not far behind in the style stakes. From big-name labels to character-packed indie boutiques and rare vintage finds, the Spanish capital offers serious shopportunity. Fashion stylist, retail pro and LUXE contributor Lou Stokes takes a tour of the city’s shopping neighbourhoods. Chi-chi Milla de Ora is the city's high voltage shopping nabe: the network Calle Jorge Juan, Ortega y Gasset and Calle Serrano (Madrid’s equivalent of New York’s 5th Avenue), has the highest concentration of Spanish and international names, like Loewe, Josep Font, Chanel and Stella McCartney. In the surrounding streets, you’ll find contemporary brands such as Maje, Iro and The Kooples. Multi-brand Beni Room is the fashion maven and celeb go-to for now and niche names from across Europe and the US. Running between Chueca and Barrio Salamanca Las Salesas is one of the liveliest and most cosmopolitan neighbourhoods in the city, and one of my favourite barrios. Alongside the multi-brand boutiques and indie shops are cute, stylish cafes, artisan bakeries and art galleries; it’s both a catwalk for homegrown fashion and a magnet for foodies and art lovers. Not to be missed is the multi-brand Nac and sophisticat Pez, both of which stock local and glocal brands. 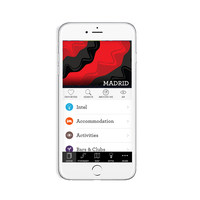 Known for its cosmopolitan atmos and extravagant nightlife, Chueca is a trendy neighbourhood that is fun, diverse and bustles with life until the early hours. Here you’ll find originality, culture and avant-garde retail – I highly recommend getting lost in its tight network of streets. If you’re a shoe fanatic (and who isn’t?) Calle Augusto Figueroa is but a stiletto toss away while contemporary Barei was one of the first in the barrio, shelving multi-label boho-esque fashion, shoes and accessories for gals n’ guys. The section of streets that run perpendicular to Fuencarral and Hortaleza has an array of trendy bars and cafes, perfectly posi’d for a mid-shop flop. 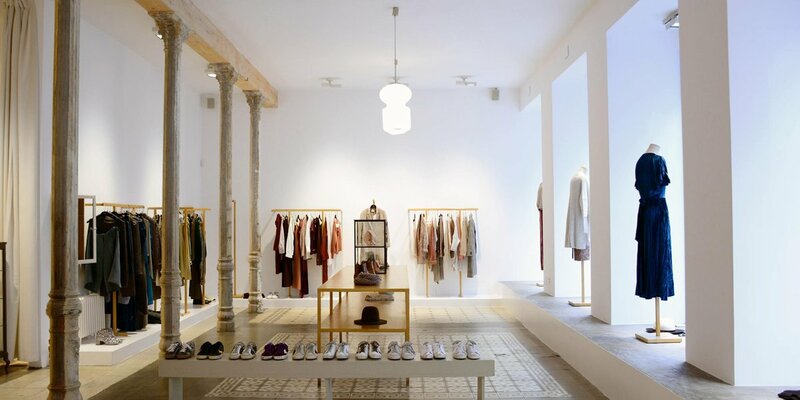 Packed with independent stores, bakeries and quirky bars exuding a vintage air, Conde Duque is the epicentre of what’s cool in Madrid right now. 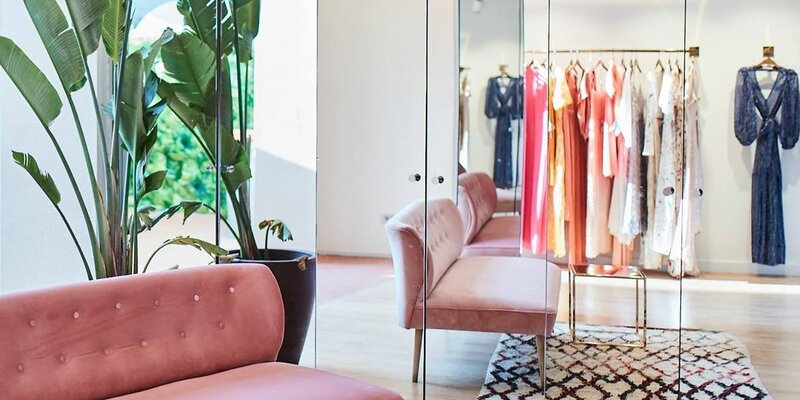 The quaint, cobblestone streets of this lively, bohemian hood are where you’ll find non-mainstream brands and emerging designers, with their exquisite shop fit-outs and distinctive atmosphere adding to the area’s vibrant personality. A must-go-to for menswear is Sportivo; Mini is also worth a visit for contemporary brands with a British feel. Collectors will want to keep eyes peeled for specialist vinyl stores and antique book shops. Home to Movida Madrileña, the artistic and cultural movement of the 70s and 80s, Malasaña is the city’s alternative, hipster hood. Popular for its nightlife, it’s also a shopping mecca thriving with vintage stores (clustered around Calle Velarde) and shops repping the latest trends in fashion and home decor. El Rincón de Tía Jo is a must for vintage treats, Optica Caribou for cutting-edge eyewear and Rughara, is a concept store for him, her and home. Last but not least, La Latina is well worth a rummage on a Sunday morning for one-off antiques, vintage, fashion and art. Go early to avoid the crowds. Post shop, beeline to La Perejila, Cava Baja 25 to sip a vermouth and fuel up on innovative Spanish fare while soaking up the lively Sunday atmosphere.